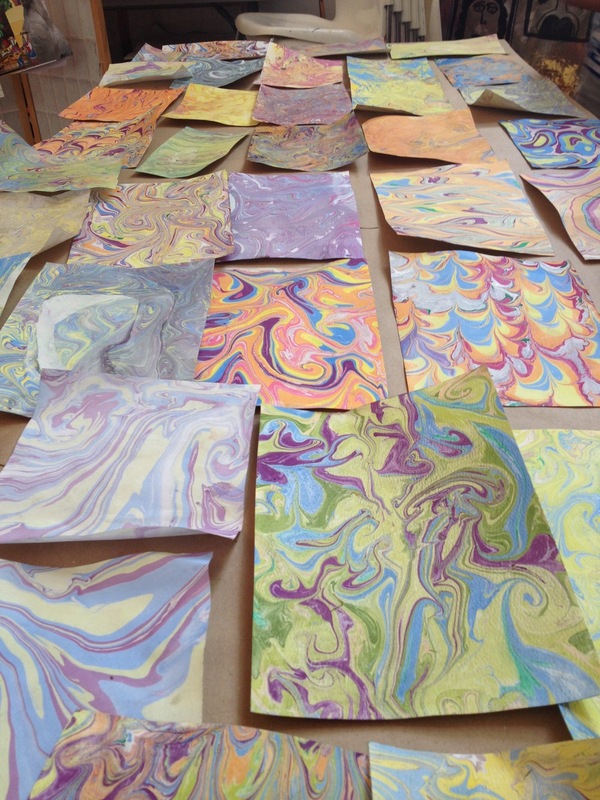 After putting away our mats, we created patterns with alcohol inks on tiles, seeing how the colors intersected and spread. 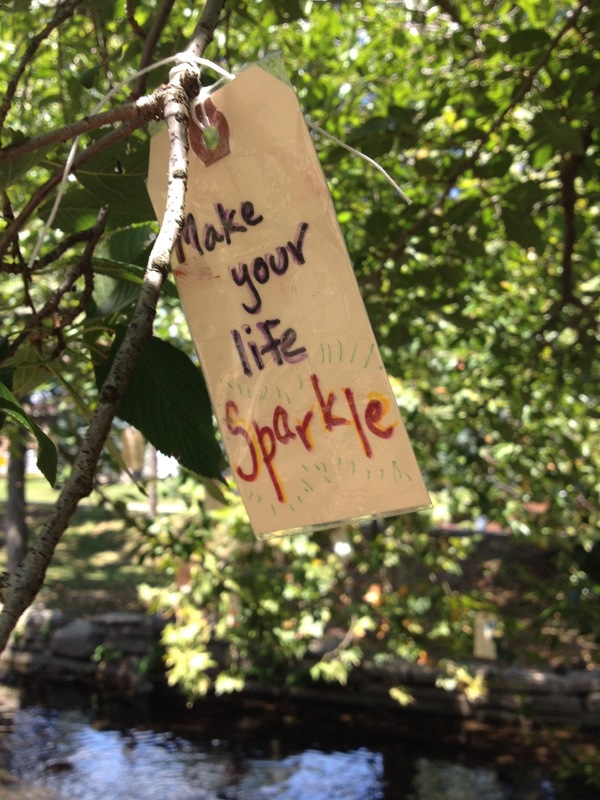 We wrapped up our "happiness quilt," then created "wish stones" with inspirational words and designs and finished up our wish tags to put in the park so visitors could find them. 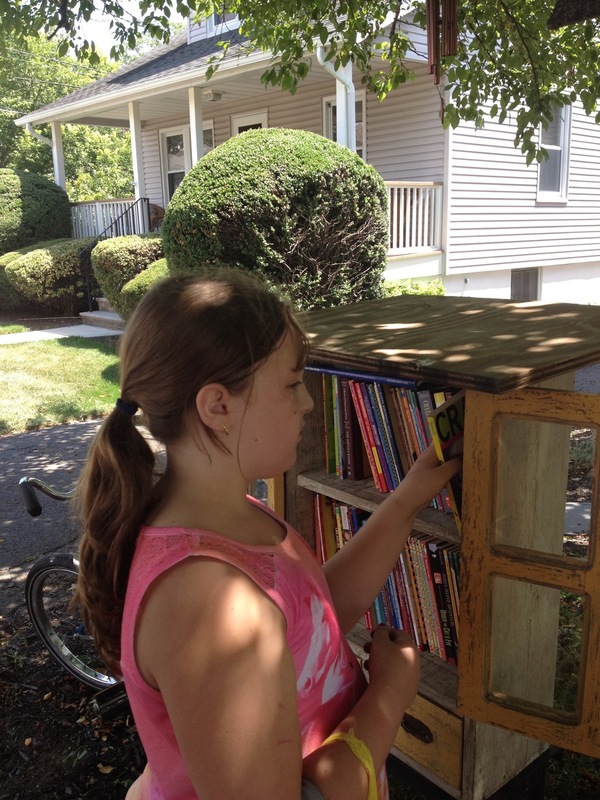 We also made a special field trip to Nutley's three Little Free Libraries to donate books and find new books to read. At the end of the week, it was time to put together an art show to share with our family and friends. 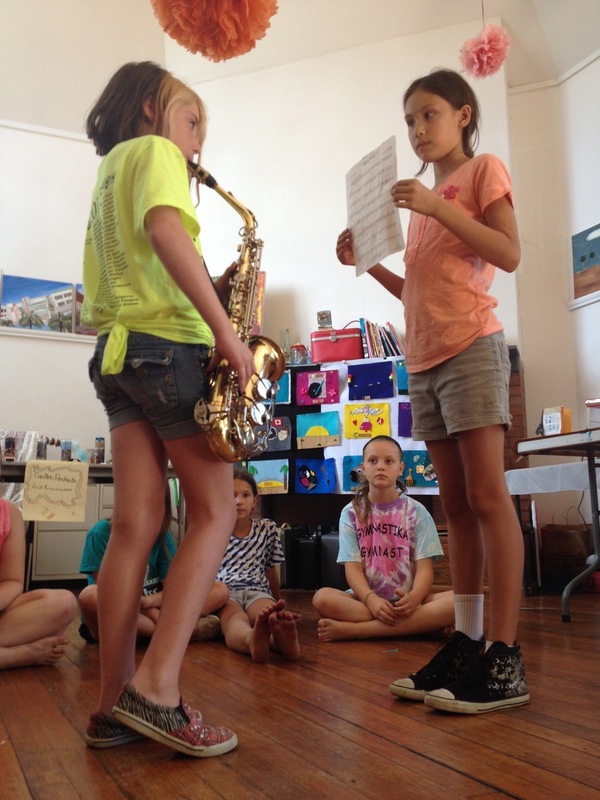 Everybody pitched in arranging the studio, making signs, and designing our exhibit space! And then, sadly, it was time to say goodbye. But not before one final farewell from Maude! Thank you for the incredible week of creativity and camaraderie!